Draft: 1994, Minnesota Twins, 3rd rd. Resides in Orlando, Fla., with his wife, Lisa...The couple has two children, a daughter Ava and a son Austin...Earned All-State honors in baseball at Dr. Phillips High School in Orlando, the same high school attended by Johnny Damon...Signed a letter of intent to play baseball at the University of Tennessee before signing with Minnesota...Participated in FOX's 2012 World Series television coverage as a pre- and post-game analyst...Joined Dale "Demon" Torborg, the White Sox' minor league strength and conditioning coach, in the ring as part of TNA Wrestling pay-per-view events in the 2005 and 2006 off-seasons...Signed by Brad Weitzel (Twins). Hit .300 (122-for-407) in his first season with Atlanta, marking the third time in his career his season average was exactly .300 (min. 100 AB) and the fourth time in his career that his season average finished .300 or higher. His .300 average was his highest since also hitting .300 in 2009 with CWS…Collected his 1,970th hit on 9/6 at PHI, passing Hall-of-Famer Bill Dickey for 10th all-time among catchers. Tied Dickey on 9/4 with a 1-for-4 effort. Finished the season with 1,989 hits…Compiled a .339 on-base percentage, his highest since 2003, when he finished with a .360 mark…Began the season with a 13-game hitting streak, 4/8-5/1, the longest season-opening run of his career. He hit .408 (20-for-49) during the streak's duration, with three home runs and 14 RBI. His 13-game stretch was the fourth-longest by a Braves player to open a season in Atlanta history and the longest since Edgar Renteria hit in an Atlanta-era best 23 games to open the 2006 campaign…Hit .340 (71-for-209) from 7/5 through the end of the season, a stretch of 59 games. His average was the fourth best in the majors among players with at least 200 at-bats over that time span, trailing only CIN's Joey Votto (.354), ARI's David Peralta (.350) and MIA's Christian Yelich (.341)…Had his second 13-game hitting streak of 2015, 7/24-8/8. Batted .431 (22-for-51) over his run…Hit two solo home runs, 9/29, a 2-1 win vs. WSH, marking his sixth career multi-homer game and first since 6/29/12. Became the oldest catcher (38 years, 273 days) to hit two homers in a game since Jason Varitek did so, 6/30/2011…Finished with a team-best nine game-winning RBI…Six of his nine home runs either tied the game or gave the Braves a lead…Ended the season on a nine-game hitting streak (12-for-28, .429), 9/20-10/2…Hit .330 (31-for-94) with runners in scoring position…Had a season-high four hits three times (4/28 vs. WSH, 7/6 at MIL, 8/3 vs. SF). Also had eight three-hit games. His 11 games with three-or-more hits were his most in a single season since 2009, when he had a career-best 16…Hit .320 (70-for-219) away from Turner Field, the seventh-best road average in the Majors (minimum 200 at-bats)…Made 104 starts behind the plate and threw out 21-of-88 (23.9%) base stealers…Signed a one-year contract to remain with the Braves for a second season on 11/13/15. Played in 102 games between Boston (72) and St. Louis (30)...Signed by St. Louis on 7/26 after being released by Boston on 7/16 and clearing waivers on 7/18...Made 20 starts for the Cardinals, all of which came behind the plate...Hit safely in 14 of his first 19 games with St. Louis, batting .277 (18-for-65) with one home run and six RBI...Hit .393 (11-for-28) with two outs with the Cardinals...Was 5-for-15 (.333) as a pinch hitter between BOS and STL combined...Posted a 10-game hitting streak (5/21-31) with a .409 average (18-for-44) including six multi-hit games...Batted .300 or better in May (.300, 27-for-90) and July (.303, 10-for-33)...Started at catcher for Games 3 and 4 of the NLCS vs. San Francisco. He combined to hit .167 (1-for-6) with one RBI in both games at AT&T Park. Hit .272 with 17 home runs and 70 RBI in 134 games with the Rangers, including 111 starts at catcher. Ranked 5th among AL catchers in home runs, the 3rd-highest total of his career behind 2012 (27) and 2005 (18). Led AL catchers with 44 RBI over his final 70 games beginning on 7/7. Hit .302 with runners in scoring position, including 4-for-7 with the bases loaded. Led Texas in hit by pitches (T-6th in AL, 9), was 2nd on the team in go-ahead RBI (19), and placed 3rd in AVG (.272), total bases (214), and game-winning RBI (8). 14), and RBI (63) while catching. Set a Rangers record for catchers with a .998 fielding percentage (959 chances)…His 2 errors were the fewest for a Rangers catcher (min. 100 games)… Also topped AL catchers in double plays (8) and tied for second in assists (65). Threw out 16 of his last 39 runners (41.0%) on the year…Overall, threw out 17 of 66 (25.8%), 5th best among AL qualifiers. Rangers pitchers had a 3.60 ERA with Pierzynski behind the plate, his best mark in 13 full seasons in the big leagues. Went 5-for-10 (.500) as a pinch-hitter, the highest AVG in the AL (min. 10 PA)…Connected for 4th career PH homer on 9/1 vs. MIN. Placed in the 15-day DL on 5/10 (retro to 5/6) with a strained right oblique…Activated 5/21 after going 1-for-6 in a 2-game rehab stint with Double-A Frisco. Batted .381 (24-for-63) in his first 18 games off the DL, improving his season AVG to .310 on 6/11, his best mark of the year after April. Drove in 20 runs in August, his 3rd career 20-RBI month and 1st since June 2004 (23). Was ejected on 8/12 at HOU in 6th inning after walk to Jonathan Villar ended Yu Darvish's perfect game bid. Recorded a season-high 4 hits and 4 RBI on 8/19 vs. HOU. Had a season-best .310 AVG (27-for-87) in 23 August games and was batting .282 on 9/16 before a 10-for-52 (.192) slide over his final 13 games. In final season with the White Sox, set career highs for runs (68), total bases (240), homers (27), walks (28), slugging (.501), and OPS (.827) and tied career bests for extra base hits (49) and RBI (77)...ranked 2nd on the club in homers and slugging, was 3rd in extra base hits, placed 4th in batting average (.278), runs, total bases, and RBI, and ranked 5th in hits (133)...started 121 games behind the plate and 5 as the DH...was the catcher on A.L. 's Silver Slugger team, his 1st selection. AMONG A.L. BACKSTOPS: Topped all A.L. catchers (stats while catching only) in average (.282), runs (65, T1st in ML with Yadier Molina and Miguel Montero), hits (127), homers (26), and slugging (.512), was 2nd in at bats (451), total bases (231), extra base hits (48), and RBI (74), and placed 3rd in games (126)...over the last 12 seasons (2001-12), leads major league catchers (stats while catching only) in games (1512), at bats (5521), runs (650), hits (1574), total bases (2108), extra base hits (489), and doubles (319), is 2nd in RBI (696), and places 4th in homers (150). BATTING: His .278 batting average marked the 5th straight season has hit .270 or higher...batted .333 (21-63) in season's 1st 17 games through April 27, then was 8-for-50 (.160) in following 15 contests, dropping to .257 through May 14...had a .385 (25-65) mark in next 17 games and was at .303 on June 6...posted a club best 16-game hitting streak, matching his career high, from July 21-August 15 at .367 (22-60) that lifted his season mark to .300...batted just .223 (29-130) over final 38 games...matched his career high with 5 hits, May 15 vs. DET, becoming the 1st White Sox catcher since at least 1920 with 2 career 5-hit games...also had 4 hits on July 13 at KC, joining Molina (3) and San Francisco's Buster Posey and Wieters (2 each) as only ML catchers with 2 or more 4-hit games in 2012...compiled 3 hits on 7 other occasions...had a .295 (71-241) average at U.S. Cellular Field, including a 12-game home hitting streak, July 23-August 21...batted .313 (37-117) with runners in scoring position. HOMERS/RBI: His 27 homers were 9 more than in any previous season (2005)...of that number, 26 came while catching, 2nd in the majors to Colorado's Wilin Rosario and the 2nd most ever for a White Sox catcher (Carlton Fisk, 33 in 1985)...ranks 3rd in White Sox history with 115 HR while catching behind Fisk (194) and Sherm Lollar (124)...matched the White Sox club record (7th time) by homering in a career high 5 straight games, July 30-August 5 and went deep in 3 consecutive contests, April 9-11...posted 5th career 2-homer game, July 29 at NYY...had a triple and homer on May 25 vs. CLE, becoming the 4th Sox catcher since 1958 to accomplish the feat, joining Josh Paul (4/24/00), Fisk (5/16/84) and Brian Downing (4/21/74)...had a season high 4 RBI, April 11 at CLE...had an RBI in a career best 7 straight games (13 total RBI), April 9-18 and had 12 RBI in 6 contests, July 30-August 6...his 19 RBI in April were his most ever in one month with Chicago...had season bests of 5 homers and 13 RBI in 14 games against CLE. MISCELLANEOUS: Was one of 2 players from 2005 World Champion White Sox to see action with club (Paul Konerko)...was 1-for-7 as a pinch-hitter with 3rd career pinch HR, August 5 vs. LAA...hit .238 (5-21) as the DH...had 4 triples, most since 2002 (career-high 6)...set career high for strikeouts (78)...had just 8 GIDPs, fewest since 2001 (7)...collected Chicago's only hits (2 singles) off Brandon Morrow, June 6 vs. TOR...made his 8th consecutive Opening Day start at catcher with the White Sox, April 6 at TEX, 3rd in franchise history (Ray Schalk, 15 and Lollar, 9)... his 12 Opening Day starts overall are the most among active catchers and tied for 8th all-time...missed 5 consecutive games from July 24-29 with a right oblique strain...has gone 293 games since last stolen base on August 21, 2010...averages a walk every 24.14 plate appearances, the 4th highest ratio among active players (3000 or more PA). Played in 129 games in his seventh season with the White Sox,hitting .287 (133-464) with 29 doubles, eight home runs and 48 RBI...reached the 1,000.0 IC mark for the 10th straight season, the only activecatcher in baseball to accomplish the feat...became the only Sox playersince 1955 to catch at least 1,000 innings in seven consecutive seasons...improved his on-base (.300 to .323) and slugging (.388 to .405) percentagesfrom 2010...his 38 runs scored and 48 RBI marked his fewest in a fullseason, while his 33 strikeouts were the fewest since 2004 (27)...wouldhave ranked second in the Major Leagues in plate appearances per strikeout(15.15) if he qualified...passed Thurman Munson, Terry Kennedy, MikeScoscia, Yogi Berra, Terry Steinbach, Tim McCarver and Johnny Roseboroon the all-time IC list during the season...was on the disabled list for thefirst time in his Major-League career from 8/13-9/2 with a fractured left wrist suffered on 8/12 vs. Kansas City whenhe was hit by a Bruce Chen pitch...batted .297 (86-290) with three home runs in 80 games during the first half,and .270 (47-174) with five homers in 49 games after the All-Star Break...led the American League with a .9955(4 E/882 TC) fielding percentage, .0004 ahead of Detroit's Alex Avila (.9951) and was a finalist for the Gold GloveAward...Sox pitchers posted a 4.04 era (453 ER/1,008.0 IC) when he was behind the plate...the 1,008.0 ICmarked his lowest total since 2001 (901.2)...threw out 13.0 percent (14-94) of attempted basestealers...hit acareer-best .305 (25-82) vs. left-handers and .283 with all eight homers vs. righties...tied his career high with sixsacrifice flies (also 2008)...his 19 double plays tied for eighth in the AL...went 21-61 (.344) during interleagueplay...hit .306 (34-111) over his final 29 games...made his 11th straight Opening Day start and seventh withthe Sox, third-most in club history among catchers behind Ray Shalk (15) and Sherm Lollar (9)...received hisfifth career ejection on 4/20 vs. Tampa Bay (arguing balls and strikes)...triple on 6/22 vs. the Cubs was his firstsince 5/5/09 at Kansas City...recorded his 300th career double on 7/9 vs. Minnesota...left on 8/12 vs. KansasCity after being hit by a Chen pitch...collected his 1,500th career hit on 9/15 at Kansas City...hit two homeruns with a season-high four RBI on 9/18 at Kansas City (fourth career multihomer game). Hit .270 (128-474) with 29 doubles, nine home runs and 56 RBI in128 games in his sixth season with the White Sox ... reached the 1,000.0IC mark for the ninth straight season, one of two active players in baseballto accomplish the feat (also Jason Kendall) ... batted .364 (51-140) from8/12-end of season, the best average in the American League, to raise hisaverage from .231 to .270 (min. 140 at-bats) ... lowered his strikeout total forthe third straight season (71 in 2008, 52 in 2009 and 39 in 2010) ... walkedjust 15 times, his fewest total since 2002 (13) ... Sox pitchers posted a 3.95ERA (479 ER/1092.2 IC) when he was behind the plate ... threw out 17.6percent (16-91) of attempted baserunners ... batted .247 (65-263) with 25RBI in the first half, compared to .299 (63-211) with 31 RBI after the All-StarBreak ... seven of his nine home runs came off right-handers, and sevenwere solo shots ... was 15-50 (.300) during interleague play ... reached the10,000.0 IC milestone on Opening Day, becoming the 36th catcher in major-league history to accomplish the feat... also made his 10th straight OD start at catcher (sixth with Sox) ... ended a 214 at-bat homerless streak on5/4 vs. Kansas City ... recorded his third career multihomer game on 7/9 vs. Kansas City ... matched his careerhigh with a RBI in five consecutive games from 8/17-22 ... hit a go-ahead, three-run home run in the ninth inningon 8/31 at Cleveland (Sox won, 4-3) ... was 26-76 (.342) in September. Became the first catcher in White Sox history to register a .300 average or better and finished second to Minnesota's Joe Mauer (.365)among American League backstops...matched his career high with 151 hits (also 2003) in his fifth season with the Sox and equaled his club record for hits as a catcher in a single season (third time, also 150 in 2006 and 2008)...reached the .300 milestone for the first time since 2002 (.312) and third time overall...recorded 1,000.0 IC for the eighth straight season, one of two players in baseball to accomplish the feat (also Jason Kendall)...is the only Sox catcher since 1955 to catch at least 1,000 innings in five straight seasons...hit 10-plus home runs for the seventh consecutive season...lowered his strikeout total from 71 in 2008 to 52, while walking five more times (19 in 2008 to 24 in 2009)...ranked among AL catching leaders in hits (2nd), average (2nd), innings caught (2nd, 1,104.0) and games played (3rd, 131)...was 1-10 (.100) as a pinch hitter...clubbed 10 home runs in the first half, and eight were solo shots...Sox pitchers posted a 4.08 ERA (501 ER) when he was behind the plate...threw out 16.8 percent (20-119) of attempted baserunners, up from 10.3 in 2008...batted .302 (19-63) with 11 RBI in interleague play...made his fifth consecutive Opening Day start with the White Sox, the fourth-longest streak by a catcher in club history behind Ray Schalk (15), Sherm Lollar (nine) and Ron Karkovice (six)...hit his 100th career home run on 4/29 vs. Seattle and his seventh career grand slam on 5/2 at Texas, tying Jorge Posada for most among active catchers...hit the game-ending double in the 13th inning on 9/9 vs. Oakland. Hit .281 (150-534) with 31 doubles, 13 home runs and 60 rBi in 134games in his fourth season with the white sox ... his 31 doubles set a clubrecord for catchers, and his 150 hits tied his own club mark set in 2006 ...reached the 1,000.0 ic milestone for the seventh straight season, one of justtwo catchers to accomplish the feat (also Milwaukee's Jason Kendall) ... his1,134 ic were the most in a season by a sox catcher since Brian downing in1975 (1,197.0 ic) ... ranked among the american league catching leadersin average (3rd), rBi (3rd) and home runs (t4th) ... increased his rBi outputby 10 from 2007 and his average by .018 ... established a career high withsix sacrifi ce fl ies and matched his season best with three sacrifi ce bunts (also2006) ... his 31 doubles were his most since 2003 (35) ... hit 10-plus homeruns for the sixth consecutive season ... hit a career-best .286 (38-133) vs.left-handers ... sox pitchers owned a 4.17 era (527 er) when he was behindthe plate ... threw out 11-107 (10.3 percent) attempted basestealers, the lowest mark in the al ... batted .306vs. al central opponents ... hit a monthly best .326 (31-95) in June ... batted .284 (101-356) in 83 starts fromthe no. 2 spot in the lineup (sox went 46-37) and .282 (33-117) from the no. 6 slot (sox were 15-15) ... wasnamed al player of the week for 3/31-4/6, hitting .500 with two home runs and seven rBi ... his 11-game hittingstreak (dating to 2007) ended on 4/13 vs. detroit (.422, 19-45) ... his 100-game errorless streak ended on 4/17at Baltimore ... played in his 1,000th career game on 5/16 at the giants ... triple on 5/17 at san francisco washis fi rst since 8/22/04 vs. the Mets ... compiled a 10-game hitting streak (.425, 17-40) from 5/6-18 ... recordedhis 1,000th career hit on 5/30 at tampa Bay (single off James shields) ... hit safely in a season-best 15 straightgames from 6/1-21 (.366, 26-71) ... collected his second career multihomer game on 7/2 vs. cleveland, includinghis third career game-ending shot (off Masa Kobayashi in the 10th inning) ... hit a two-run sacrifi ce fl y on 7/8 atKansas City, the fi rst by a Sox player since Jerry Hairston on 8/19/83 at Texas ... caught his 1,000th game on7/12 at texas before leaving with a lower left leg contusion. Hit .263 (124-472) with 14 home runs and 50 RBI in his third seasonwith the White Sox ... the 50 RBI marked his lowest output since 2002 (49)... agreed to terms on a two-year, $12.5-million contract extension on 9/29 ...established a career high with 25 walks ... 12 of his 16 home runs came ascatcher, sixth-most in the American League ... also ranked third among ALbackstops with a .998 (2 E/844 TC) ... did not commit an error over his final89 contests ... his 1,058.0 IC marked his fewest as a member of the WhiteSox ... hit .244 (65-266) in the first half and .286 (59-206) after the All-StarBreak ... the .042 increase in the second half tied for the 17th-best in the ALwith the Yankees' Bobby Abreu ... batted .266 (97-365) with nine home runsvs. right-handers, compared to .252 (27-107) with a career-high five homersvs. lefties ... was 5-17 (.294) with two home runs and five RBI as a pinch hitter(0-10 in 2006) ... made 12 starts at the No. 3 position in the lineup (Sox went6-6), five at No. 4 (1-4), 65 at No. 5 (29-36), 26 at No. 6 (14-12), six at No. 7 (3-3) and two at No. 8 (1-1) ... hit.236 (26-110) with runners in scoring position, down from .290 in 2006 ... Sox went 48-39 when he collected ahit and 30-18 when he scored a run ... did not hit .300 in any month (four times in 2006) ... tied for third on theclub with 31 multihit efforts ... threw out 16.2 percent (12-74) of attempted basestealers ... Sox pitchers compileda 4.41 ERA (519 ER) when he was behind the plate ... hit .322 (38-118) vs. AL East foes, and .243 (86-354)against the rest of baseball ... grounded into 21 double plays, tied for seventh in the AL with teammate PaulKonerko ... forced in the game-ending run after getting hit by a pitch with the bases loaded on 4/5 vs. Cleveland... caught Mark Buehrle's no-hitter on 4/18 vs. Texas ... hit three home runs in April, one more than his careerApril total entering 2007 ... belted his first career pinch-hit home run on 5/5 at the Angels ... added a gamewinningsingle off Francisco Rodriguez in the 10th ... hit his sixth career grand slam on 5/20 at the Cubs ... wenthomerless in his next 202 at-bats until his roundtripper on 8/4 at Detroit ... hit .299 in May, up from .213 in April... also amassed a monthly-best 14 RBI ... was ejected by home-plate umpire Bob Davidson on 6/7 vs. theYankees for arguing balls and strikes ... served a one-game suspension handed down by Major League Baseballon 6/10 ... drove in the winning run on 7/24-2 vs. Detroit with an eighth-inning single ... homered in back-to-backgames on 8/8-9 ... notched four hits on 9/2 at Cleveland after going hitless in his previous 17 at-bats ... recordedthe game-ending single on 9/7 vs. Minnesota ... hit his second career pinch homer on 9/8 vs. the Twins, a gametying,two-run shot off Carmen Cali. Batted .295 (150-509) in his second season with the White Sox, hishighest average since 2003 (.312) ... his 150 hits were the highest singleseasontotal in Sox history by a catcher ... his 16 home runs tied for fifth amongAmerican League catchers with the Angels Mike Napoli ... also ranked thirdamong AL backstops with a .977 fielding percentage (3 E/860 TC) and 1,125.0innings caught ... his 1,125.0 IC were the second-highest total by a Sox catchersince 1970 (Brian Downing, 1,197.0 in 1975) and surpassed his total from 2005(1,117.2) ... won the Monster.com AL All-Star Final Vote, the second straightSox player to capture the honor (Scott Podsednik in 2005) ... did not play in theMidsummer Classic at Pittsburgh ... hit .320 (91-284) with 17 doubles and sixhomers in the first half and .262 (59-225) with seven doubles and a career-high10 homers after the break ... hit .304 (112-368) with 15 home runs vs. righthandersand .270 (38-141) vs. lefties ... batted .290 (38-131) with runners inscoring position, up from .236 in 2005 ... was 8-14 (.571) with a home run and 15 RBI with the bases loaded ...opened the season with four straight months with an average of .300 or better (.342/.322/.302/.308) before hitting.228 (21-92) in August ... had not hit above .300 in a month since 6/04 (.368) ... recorded a monthly-best 14 RBIin back-to-back months in July and August ... threw out 18.9 percent (21-111) of attempted basestealers ... Soxpitchers compiled a 4.47 ERA (559 ER) when he was behind the plate (3.74 in 2005) ... was 18-55 (.327) with threehome runs vs. Minnesota ... was 0-10 as a pinch hitter ... hit .471 (8-17) when batting third and .365 (35-96) fromthe No. 5 position, but .270 (107-396) elsewhere ... Sox went 59-35 when he collected a hit and 38-17 when hescored a run ... ranked third on the team with 43 multihit efforts ... hit .356 (21-59) with three homers and 11 RBIin interleague play ... homer on 5/14 at Minnesota was his first in the regular season since 9/1/05 vs. Detroit, a spanof 191 at-bats ... set an AL record with 954 consecutive errorless chances accepted on 5/16 at Tampa Bay, eclipsingYogi Berra's mark of 950 set from 7/28/57-10/10/59 (streak ended at 962) ... his 150-game errorless streak cameto an end on 5/19 vs. the Cubs ... the streak was nine short of the AL record set by Rick Cerone from 1987-89 ...was ejected on 5/20 vs. the Cubs for his role in a benches-clearing altercation in the second inning ... scored thewinning run on 5/22 vs. Oakland after drawing a one-out walk in the 10th ... hit a game-winning, three-run homeroff Ryan Dempster with two outs in the ninth inning on 7/1 at the Cubs ... hit safely in a season-high 10 straight gamesfrom 6/25-7/6 (.325, 13-40) ... caught all 19 innings on 7/9 vs. Boston ... went 10-13 with a home run and six RBIat Baltimore 7/28-30 ... collected a career-high five hits on 7/29 at Camden Yards, going 5-5 with a home run andfour RBI ... average was at .300 as late as 8/29 ... hit his second career gameendinghomer on 9/8 vs. Cleveland, a two-run shot off Tom Mastny ... hit his fifthcareer grand slam on 9/19 vs. Detroit ... his stolen base on 9/29 at Minnesotawas his first since 9/15/03 at Cleveland (with Twins) ... hit .333 (20-60) with fivedoubles, three home runs and 12 RBI in his last 17 games. Hit a career high 18 home runs in his first season with the White Sox ... his 18 home runs ranked fifth among American League catchers and were the most by a Sox backstop since Ron Karkovice hit 20 in 1993 ... led all AL catchers with a .999 (1 E/847 TC) fielding percentage and ranked third with 1,117.2 innings caught, the second-most by a Sox catcher since Brian Downing in 1975 (1,197.0) ... finished the season with a 119-game errorless streak, the longest active streak by a catcher in baseball (last error came on 4/18/05 vs. Minnesota) ... Sox went 59-25 when he collected a hit and 36-13 when he scored a run ... threw out 20.2 percent (20-99) of attempted basestealers and recorded one pickoff ... Sox pitchers compiled a 3.74 ERA (464 ER) when he was behind the plate ... 14 of his 18 home runs came off righties and 14 were hit from May-July ... his seven home runs in May were a career monthly best and tied for fifth-most in the AL ... hit .294 (58-197) with runners on base, but .236 (25-106) with runners in scoring position ... hit .234 (74-316) in the first six innings and .306 (44-144) after the sixth ... had at least one at-bat in all spots in the lineup except second and ninth ... batted .302 (45-149) from the No. 5 spot in the order ... his .250 (60-240) average before the All-Star Break was down from his .308 lifetime mark coming into the season ... batted .348 (16-46) vs. Detroit and .356 (16-45) with nine RBI vs. Kansas City ... notched a season-high three hits on seven occasions ... hit his first Sox home run on 4/7 vs. Cleveland ... doubled and scored the winning run on 4/13 at Cleveland ... missed three straight games from 4/24-26 with a contusion on his right big toe sustained when he was hit by a pitch on 4/23 at Kansas City ... collected the game-winning, two-run single in the eighth inning on 5/6 at Toronto ... homered in a career-high four straight games from 5/14-18 ...drove in 10 runs in five games between 5/14-20 ... hit his fourth career grand slam on 5/16 vs. Texas ... hit his first-ever, game-ending home run on 6/18 vs. the Dodgers, a two-run shot of Yhency Brazoban ... the homer also snapped an 0-15 slump ... matched his career high with his 11th home run on 6/24 vs. the Cubs (57th game) ... was ejected by home-plate umpire Marty Foster on 7/10 vs. Oakland (arguing balls and strikes) ... compiled a season-long, 11-game hitting streak from 7/25-8/8 (.463, 19-41) ... hit his 50th career homer on 7/22 vs. Boston ... homered in consecutive games on 7/30-8/1 at Baltimore ... went 3-3 with two doubles, a home run and three RBI on 9/1 vs. Detroit, his first roundtripper since 8/5 vs. Seattle (77 at-bats) ... hit .172 (5-29) over his final nine games and was held homerless over his last 25 ... Batted .262 (11-42) with four doubles, three home runs and nine RBI in 12 postseason games for the World Champion White Sox ... also was successful in two of three stolen base attempts after going 0-2 in the regular season ... Sox pitchers compiled a 2.69 ERA (32 ER/107.0 IP) when behind the plate during the playoffs ... went 4-9 (.444) with two doubles, two homers and four RBI in the ALDS vs. Boston ... was 3-3 with a double, two home runs, four RBI and a Sox postseason record four runs scored in Game 1 of the ALDS ... joined Ted Kluszewski (Game 1 of 1959 World Series) as the only Sox players to hit two home runs in one playoff game ... became one of five catchers in major-league history to hit two homers in one postseason contest (Yogi Berra in 1956, Gene Tenace in 1972, Johnny Bench in 1976 and Gary Carter in 1986) ... hit a solo home run off Ervin Santana in Game 4 of the ALCS ... hit .267 (4-15) with two doubles and three RBI in his first-ever World Series appearance ... stole his second base of the postseason in Game 1 of the Fall Classic, becoming the first player to steal a base in a World Series after not doing so during the regular season since the Yankees' Lou Piniella in 1981 ... his two-run double off Roy Oswalt in the fifth inning of Game 3 in Houston capped a five-run rally as the Sox overcame a 4-0 deficit. Set career highs with 77 RBI and 131 games played and matched hiscareer high with 11 home runs in his only season with San Francisco ... his 77RBI as a catcher ranked second among National League catchers behind PaulLoDuca's 76 ... hit .307 (47-153) with runners in scoring position ... groundedinto a major-league high 27 double plays, a Giants franchise record ... batted.304 (79-260) with seven home runs and 45 RBI in the first half, including a .322(70-212) average in his final 58 games leading into the break ... averagedropped to .232 (49-211) in the second half ... average was at .301 on 8/18before a 21-116 (.181) slump over his final 35 games dropped his final mark to.272 ... hit .283 (106-374) vs. right-handers ... went 23-57 (.404) in 16 gamesvs. Los Angeles ... hit .368 (32-87) with four home runs and 23 RBI in June ...23 RBI were a personal monthly best, while his four home runs tied his monthlybest (second time) ... became the sixth Giants player to hit a ball into McCoveyCove on 7/6 off Colorado's Denny Stark ... drove in a season-high six runs on5/22 at Montreal (in Puerto Rico), going 3-5 with a double and his third career grand slam ... matched career high of four hits on 6/30 at Los Angeles and 7/8 vs. Arizona (seventh and eighth times)... was 3-12 (.250) as a pinch-hitter ... threw out 17.7 percent (11-62) of attempted basestealers ... Giants pitcherscompiled a 4.23 ERA (480 ER/1,022.0 IP) when he was behind the plate. Established career highs in average (.312), games played (137), at-bats (487), runs scored (63), hits (152), doubles (35), home runs (11), on-base (.360) and slugging percentage (.464) ... ranked among the American League batting average leaders overall (T7th), during the day (3rd, .331), vs. right-handers (5th, .326) and on the road (5th, .328) ... also ranked among AL leaders in intentional walks (T5th, 12) and hit-by-pitches (T6th, 15) ... struck out once every 9.7 plate appearances (55 SO/533 PA), the 10th-best ratio in the league ... led AL catchers in average, hits and doubles and tied for the lead in home runs ... hit first career grand slam on 5/7 at Tampa Bay off Joe Kennedy ... recorded first career multihomer game on 6/12 vs. Colorado, going 3-4 with a three-run homer and grand slam (second career) for a career-high seven RBI ... hit personal monthly best .375 (27-72) in September as Minnesota went 19-7 to clinch second straight AL Central Division title. Was named to his first AL All-Star Team ... batted .300 with 31 doubles, a career-high six triples, six home runs and 49 RBI for the division champion Twins ... batted .319 (36-113) with runners in scoring position ... compiled a career-high, 16-game hitting streak from 5/26-6/14, going 24-60 (.400) with seven doubles, two home runs and seven RBI ... tied career best with four hits in 23-2 win vs. Cleveland on 6/4, going 4-6 with a double and triple ... following the season, was one of 25 major-league players selected to compete in the All-Star Series in Japan. Became Twins everyday catcher, hitting .289 with 33 doubles, seven home runs and 55 RBI ... his 33 doubles ranked second among AL catchers, and his .289 average would have led AL catchers with the required 502 plate appearances ... hit .304 (34-112) with runners in scoring position ... batted .305 (82-269) with seven home runs and 44 RBI over his final 82 games ... compiled a 12-game hitting streak from 8/20-9/6, going 17-42 (.405) ... Twins pitchers posted a 4.08 ERA (470 ER/1,035.2 IP) when he was behind the plate, 0.43 lower than their season mark of 4.51. Was recalled by Minnesota on 8/12 ... went 4-4 with three runs scored on 8/25 vs. Detroit ... hit first home run on 9/8 at Seattle, a solo shot off Paul Abbott ... threw out five of 13 (38.5 percent) of attempted baserunners. Played in nine games over two stints with the Twins ... was recalled by Minnesota from Class AAA Salt Lake on 5/16 and was 2-12 before being optioned on 5/28 ... also was with the club from 6/1-20. Was recalled by Minnesota on 9/9 and made major-league debut that day at Anaheim ... collected first major-league hit on 9/12 vs. Oakland off Billy Taylor. Was Florida State League All-Star for single-A Ft. Myers...batted .279 with 23 2Bs, 9 HRs and 64 RBI, 2nd-most on club...nailed impressive 33.1 % of baserunners attempting to steal (42-of-127). Led single-A Ft. Wayne with 30 2Bs and 70 RBI while hitting .274 in 114 games. Was batting .310 with Fort Wayne when he was placed on the disabled list on 5/30 with mononucleosis... upon reinstatement was moved to Advanced Rookie Elizabethton, where he was named to the AppalachianLeague All-Star Team ... his .332 average ranked fifth in the APPY ... added seven home runs and 45 RBI in 56games ... was rated by Baseball America as the No. 6 Prospect in the league ... led APPY catchers with 71 assists. Began pro career with Twins' affiliate in Gulf Coast rookie league, batting .289 in 43 games. November 3, 2016 C A.J. Pierzynski elected free agency. November 3, 2016 Atlanta Braves activated C A.J. Pierzynski from the 60-day disabled list. September 17, 2016 Atlanta Braves transferred C A.J. Pierzynski from the 15-day disabled list to the 60-day disabled list. Strained left hamstring. September 1, 2016 Atlanta Braves activated C A.J. Pierzynski from the 15-day disabled list. August 24, 2016 Atlanta Braves sent DH A.J. 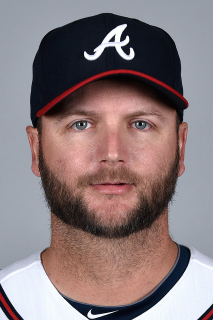 Pierzynski on a rehab assignment to GCL Braves. August 17, 2016 Atlanta Braves placed C A.J. Pierzynski on the 15-day disabled list. Strained left hamstring. November 12, 2015 Atlanta Braves signed free agent C A.J. Pierzynski. November 2, 2015 C A.J. Pierzynski elected free agency. January 7, 2015 Atlanta Braves signed free agent C A.J. Pierzynski. October 30, 2014 C A.J. Pierzynski elected free agency. October 10, 2014 St. Louis Cardinals activated C A.J. Pierzynski. October 2, 2014 St. Louis Cardinals reassigned C A.J. Pierzynski to the minor leagues. July 26, 2014 St. Louis Cardinals signed free agent C A.J. Pierzynski. July 16, 2014 Boston Red Sox released C A.J. Pierzynski. July 9, 2014 Boston Red Sox designated C A.J. Pierzynski for assignment. December 4, 2013 Boston Red Sox signed free agent C A.J. Pierzynski. May 21, 2013 Texas Rangers activated C A.J. Pierzynski from the 15-day disabled list. May 18, 2013 Texas Rangers sent C A.J. Pierzynski on a rehab assignment to Frisco RoughRiders. May 9, 2013 Texas Rangers placed C A.J. Pierzynski on the 15-day disabled list retroactive to May 6, 2013. Strained right oblique. December 26, 2012 Texas Rangers signed free agent C A.J. Pierzynski. November 3, 2012 C A.J. Pierzynski elected free agency. September 2, 2011 Chicago White Sox activated C A.J. Pierzynski from the 15-day disabled list. August 30, 2011 sent C A.J. Pierzynski on a rehab assignment to Charlotte Knights. August 16, 2011 Chicago White Sox placed C A.J. Pierzynski on the 15-day disabled list retroactive to August 13, 2011. Bruised left wrist. December 3, 2010 Chicago White Sox signed free agent C A.J. Pierzynski. November 7, 2010 C A.J. Pierzynski elected free agency.